Sign up to receive our Historic Vermont newsletter! 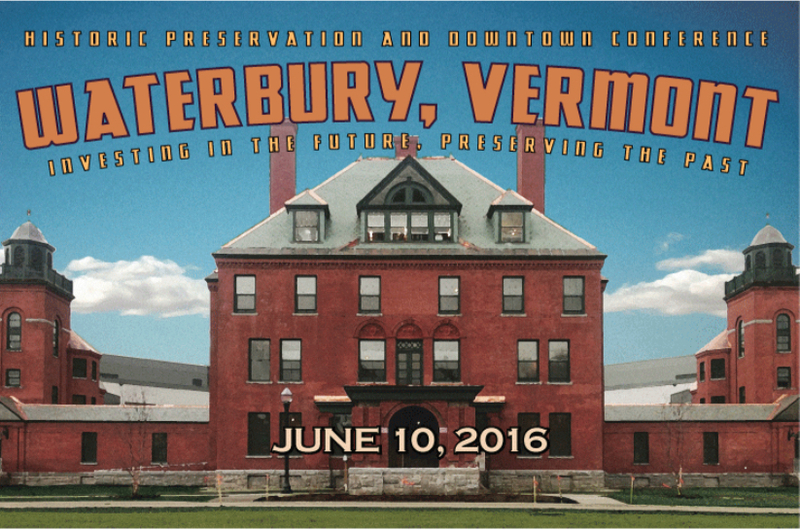 Our annual conference in Waterbury Vermont proved the perfect venue to celebrate the current authenticity and vitality of Vermont’s historic places and engage in lively discussions about how to build on the economic and community success of Vermont's downtowns and villages over the next 50 years. This year’s event brought together over 250 attendees, 12 Preservation Award winners and state and local partners for a day of learning and inspiration. With a variety of sessions and tours with a focus on creative place making, innovative technologies and restoration techniques, building social capital and craft beer and preservation, the conference had something for everyone. Rhonda Sincavage, Publications and Programs Director for the National Trust for Historic Preservation provided the Keynote Address - reminding the audience that preservation spurs economic development, enhances quality of life, and promotes environmental sustainability, all while preserving our history for future generations. Preservation Awards 2016: Watch the Films! 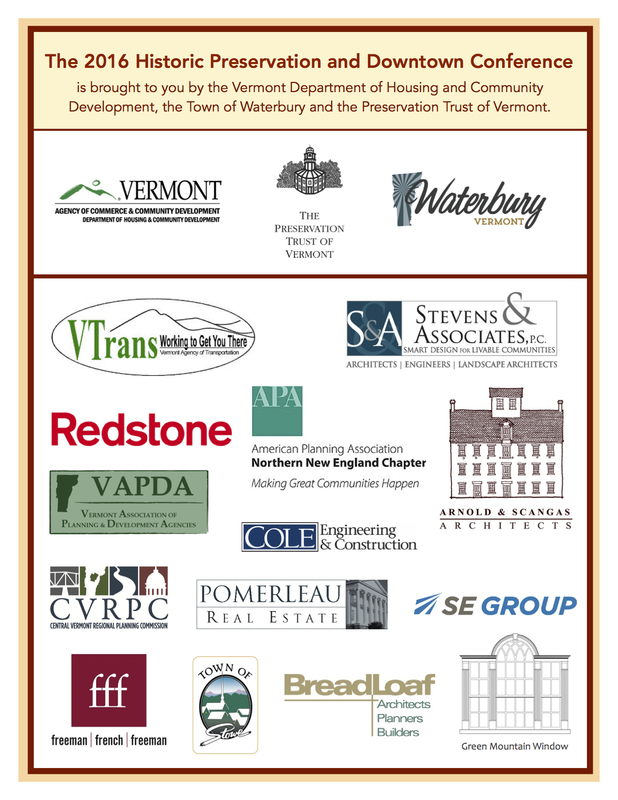 The event couldn’t have been a success without the support of our sponsors and local partners including Arnold & Scangas Architects, Redstone, Stevens & Associates, Vermont Agency of Transportation and most importantly, our gracious host community Waterbury, Vermont! Thank you all!